Update (08.12.2017): Completed CAL submissions! 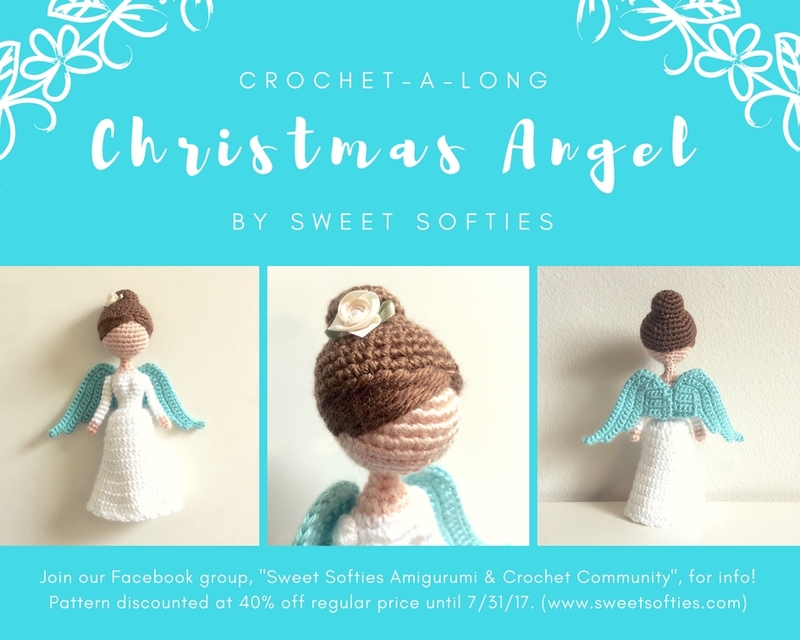 I am super excited to announce my very first Crochet-A-Long (CAL), featuring the Christmas Angel pattern! This two-week CAL will take place from 7/25 to 8/8. Purchase the pattern on Craftsy by 7/31 to take advantage of the CAL discount (40% off regular price). This will be loads of fun because you all make such an amazing and wonderful crochet community! I anticipate lots of friendships to be forged, good memories to be made, and creativity to be shared! (A good example of creativity can be seen in my testers' angels! Click here to view them and see how unique each one is!) So, rather than crocheting this angel alone, please join in on the CAL for this awesome opportunity to crochet in good company! Hope to see you at the CAL! If you have any questions, please don't hesitate to ask by commenting below, or contacting me through my social media sites.